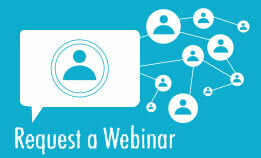 How Much Does It Cost to Convert to a Concierge Medicine Practice? 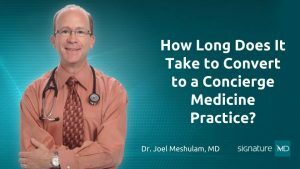 You might also be interested in: How Long Does It Take to Convert to a Concierge Medicine Practice? As Dr. Meshulam shared, financially, to me, there really wasn’t a cost. I didn’t put down a couple thousand dollars to sign up with Signature MD; I didn’t pay for that. There really wasn’t a direct cost to me. Once the program is in place, Signature MD gets a third of the concierge premium and I get two-thirds. That’s their charge. That, I guess, is a cost, but it wasn’t like I had to take money out of the bank to do this process. As you can see, at SignatureMD our interests are aligned with yours. We take on all the upfront costs, and work to develop a customized concierge program that fits the needs of your practice. One of our primary goals is to help physicians enjoy practicing medicine again, and to that end we ensure there is no up front financial risk for you to explore the opportunity and see what your future might look like as a concierge physician. If you have questions or would like to learn more about converting to a concierge medicine practice, please contact us.